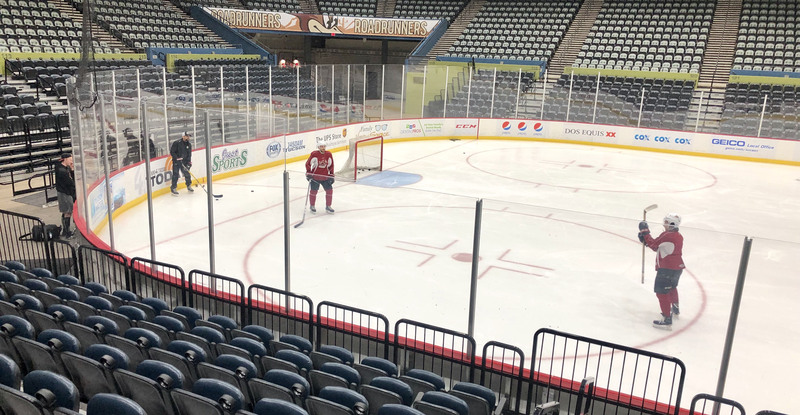 Good morning from Tucson Arena, where with push, persistence and timely power play execution Tuesday night, the Roadrunners improved to 9-2-0-0 on home ice this season, forging that 'local advantage' into literal terms and concrete results. Though it is well mannered to welcome opponents, Tucson Arena has not been a fun place for visitors to play. Road games haven’t been kind to the Colorado Eagles in general, who dropped to 3-6-1-0 away from home confines this year following last night’s result. 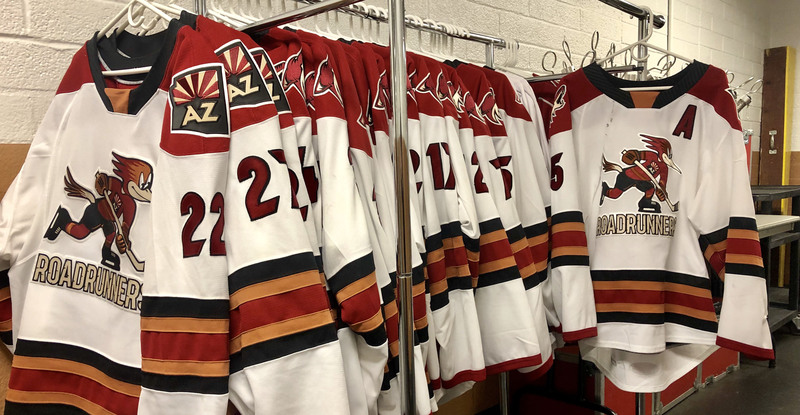 The Roadrunners have now earned points in eight-straight games (6-0-2-0) and are flaunting an overall record of 15-5-2-1, which calculates out as a .717 win percentage, good for third-best in the American Hockey League. The genuine energy and excitement shown in Michael Bunting’s celebration after his first NHL goal last night was magnificent. Mario Kempe with the bear hug, Conor Garland not far away. Those three played as a line with the Roadrunners as recent as November 16 in Stockton. That’s the reaction of a dream come true. Authentic. Cool! Him! Off! Lane Pederson has turned on the heat, scoring in his third-straight game Tuesday and adding an assist on Jens Looke’s game-winning tally by winning a crucial offensive zone draw. Speaking of Pederson, the Roadrunners’ leading assist-getters, Kyle Capobianco (17) and Robbie Russo (14), drew up the Saskatoon native’s one-timed power play marker to open the scoring 45-plus minutes deep into Tuesday’s contest. CONFIRMED: Forward Nick Merkley (@merkdaddy4) returns to the Roadrunners’ lineup tonight! I’m just excited, I can’t really put it into words, it’s been so long, a lot of hard work and long practices and lots of rehab, so it’s just nice to be back in and hopefully I can help the boys get another win. We’ve got a whole new team this year, lots of new guys, so it’s nice to get in situations with all of those guys, be around them and work hard with them every day. It’s been huge for my process; it’s helped a lot. I think the guys all came together with support from the coaching staff and the medical staff, and it helped the process a lot more. It’s been a long time since I’ve done anything super competitive, so I’m just excited to get out there and hopefully contribute. I think the speed; obviously we’re a smaller team so it’s been the speed, the ability to move the puck quick, moving as a unit and doing the little things right. [Colorado] is a good team over there, we’ve got to come prepared again. The boys did really well last night so hopefully we can do that again tonight.